Tame Impala have dropped new song "Borderline." The song was debuted during a recent appearance on Saturday Night Live and arrives ahead of the Australian band's headline performance at Coachella this weekend. 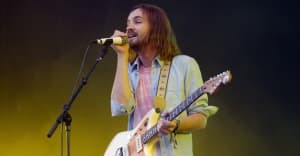 "Borderline" is the second new Tame Impala song released this year after "Patience," released in March. The band's last album, Currents, was released in 2015.